Educate Tanzania’s annual fundraiser on June 1st took in $93,000 to help establish Karagwe University College (KARUCO) in Tanzania. Groundbreaking is set for October 5, 2012 in Karagwe, Tanzania. 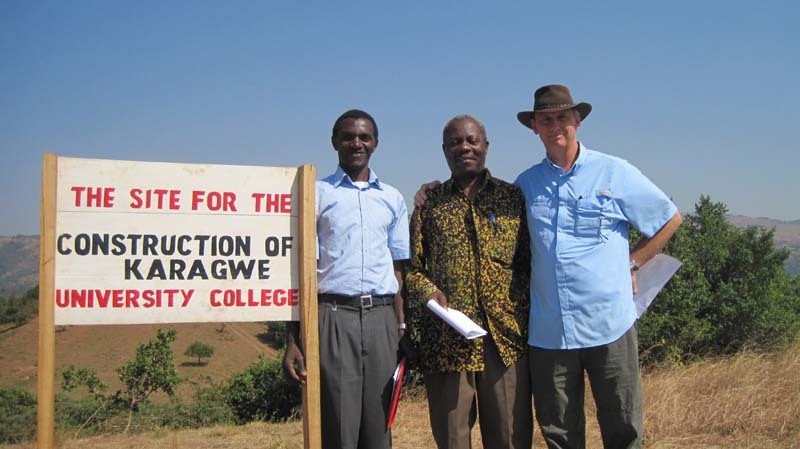 Dr. Benson Bagonza, Bishop of the Karagwe Diocese of the Evangelical Lutheran Church of Tanzania (ELCT) and Dr. Brighton Katabaro, Coordinator for KARUCO, announced the Groundbreaking date and issued a special thanks to Educate Tanzania for making it possible. The groundbreaking ceremonies will include Educate Tanzania, Inc. (ETI) the KARUCO Task Force, the ELCT Management Team, many local organizations and individuals, and colleagues from various parts of Tanzania, Africa, Europe and the United States. The architecture firm contracted to design the campus, classrooms, and facilities is MSAADA. The firm is a non-profit organization based out of Minneapolis, MN and was founded in 1980. The name MSAADA is a Kiswahili (Swahili) word meaning help, aid, assistance, or support. Since the founding of MSAADA the firm has completed projects in India, Tanzania, Madagascar, Kenya, Malawi, Haiti and many other nations. MSAADA has extensive experience working with local construction teams in order to both boost the local economy and to have access to the the best local building materials. 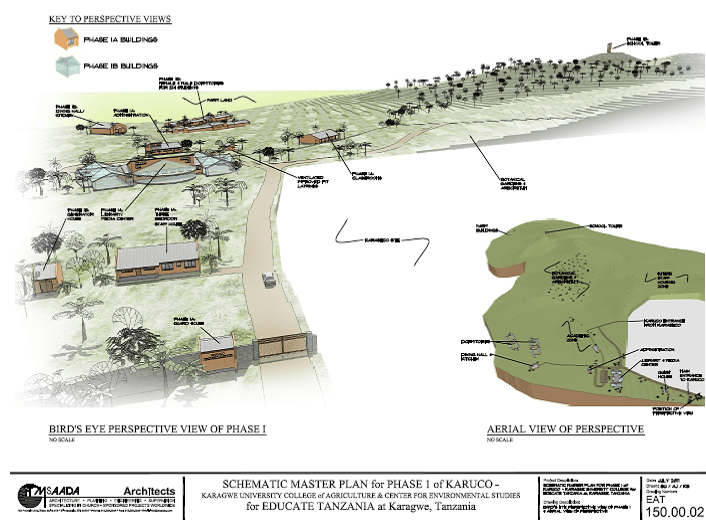 Educate Tanzania first met with MSAADA in 2011 to lay out the campus map for KARUCO. Since that time Educate Tanzania has been working with both MSAADA and our ELCT counterparts, Dr. Benson Bagonza and Rev. Dr. Brighton Katabaro to lay out detailed renderings for the first buildings to be erected. The first phase of construction will include a Library/Media Center (Click for a look at the draft design), Classrooms, and an Administrative Building. For more information on why we are building KARUCO, feel free to visit the Karagwe Diociese website to hear a full story on why it is so imperative to build KARUCO.